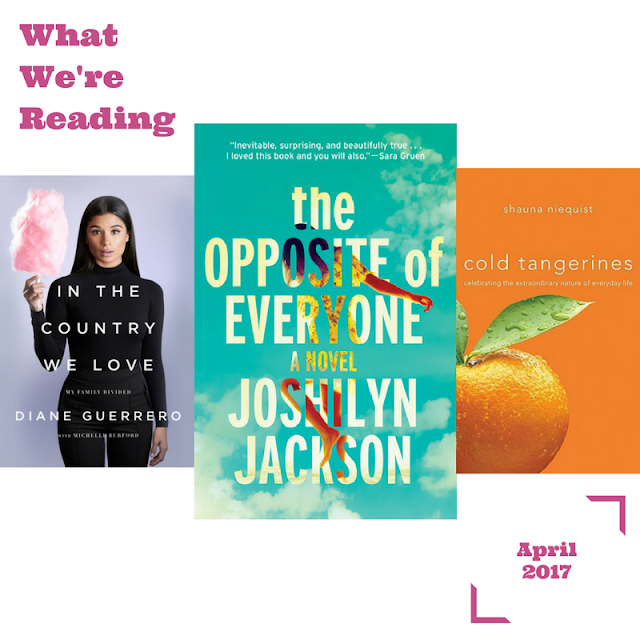 What We're Reading This Month: April 2017 | LADY. Oh, happy spring! What a beautiful season. We love this time of new beginnings and fresh starts, and that's why we think you'll love our selections for this month's What We're Reading feature. Each book on this list tells a story, or many stories, of moving forward into something better than before, something that could have only been born of the quiet darkness of winter. Featuring a collection of essays, a memoir, and the latest novel from one of the best Southern authors in existence, we invite you to dive into three of our favorite reads for this season. "Born in Alabama, Paula Vauss spent the first decade of her life on the road with her free-spirited young mother, Kai, an itinerant storyteller who blended Hindu mythology with Southern Oral Tradition to re-invent their history as they roved. But everything, including Paula’s birthname Kali Jai, changed when she told a story of her own—one that landed Kai in prison and Paula in foster care. Separated, each holding her own secrets, the intense bond they once shared was fractured. The Opposite of Everyone is a story about story itself, how the tales we tell connect us, break us, and define us, and how the endings and beginnings we choose can destroy us . . . and make us whole. Laced with sharp humor and poignant insight, it is beloved New York Times bestselling author Joshilyn Jackson at her very best." "Diane Guerrero, the television actress from the megahit Orange is the New Black and Jane the Virgin, was just fourteen years old on the day her parents and brother were arrested and deported while she was at school. Born in the U.S., Guerrero was able to remain in the country and continue her education, depending on the kindness of family friends who took her in and helped her build a life and a successful acting career for herself, without the support system of her family. In the Country We Love is a moving, heartbreaking story of one woman's extraordinary resilience in the face of the nightmarish struggles of undocumented residents in this country. There are over 11 million undocumented immigrants living in the US, many of whom have citizen children, whose lives here are just as precarious, and whose stories haven't been told. Written with Michelle Burford, this memoir is a tale of personal triumph that also casts a much-needed light on the fears that haunt the daily existence of families likes the author's and on a system that fails them over and over." "Cold Tangerines is a collection of stories that celebrate the extraordinary moments hidden in our everyday lives. It is about God, and about life, and about the thousands of daily ways in which an awareness of God changes and infuses everything. It is about spiritual life, and about all the things that we have called nonspiritual life that might be spiritual after all. It is the snapshots of a young woman making peace with herself and her life, and trying to craft a life that captures the energy and exuberance we long for in the midst of the fear and regret and envy we all carry with us. It is both a voice of challenge and song of comfort, calling us upward to the best possible life, and giving us room to breathe, to rest, to break down and break through. Cold Tangerines offers bright and varied glimpses of hope and redemption, in and among the heartbreak And boredom and broken glass."